Nest Secure offers pricey but high-quality equipment with a lot of room for interconnectivity. If you value aesthetics and home automation integration, this would be a great system for you. Nest Secure is a popular choice if you value quality equipment and a lot of room for interconnectivity beyond home security equipment. The fact that you can manage your smart thermostat, smoke/CO detectors, and home security equipment all in the same mobile app makes Nest an attractive option if you’re willing to invest in its ecosystem of products. Data effective 12/11/2018. Offers and availability subject to change. If you don’t want to self-monitor your Nest security system, Brinks can professionally monitor your Nest Secure system for the above prices. The $29/month monitoring price is a little steep without a contract, but it gives you flexibility to subscribe for short periods of time like if you’re going out of town and want an extra set of eyes on your home. Nest cameras are designed to learn as you use them. With time they can learn the difference between a passing car and an intruder on your property. Nest equipment also learns based on your habits. For example, the system picks up on your schedule and knows when you’re usually home. All of this helps limit false alarms, which can be downright frustrating. Our one complaint about the Nest Secure system is that notifications could be a little slow—not ideal when you need to react quickly in an emergency. During our two-week test run of Nest Secure, the Quiet Open feature quickly became our favorite thing about the system. It allows you to temporarily deactivate a single sensor in your armed system so you can open a door without triggering the whole system. Other security systems lack this practicality that comes in handy in situations like taking the trash out before bed or running back inside for your coffee thermos after you’ve set the alarm. If you’re invested in the Nest ecosystem, you can manage all your equipment from the same app, including equipment outside the Nest Secure line. That’s a big perk if you’re willing to go all in on Nest’s equipment. The Nest app itself gives you plenty of room to customize your home security system to fit your needs. You can turn off your system remotely, assign names for different pieces of equipment, and individually monitor any sensor in your home. Both the Nest Protect smoke detector and the Nest Detect sensors are equipped with Pathlight technology, which activates a nightlight when sensors detect your movement in the dark, helping you navigate your home at night. 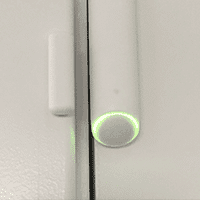 It might not seem like much, but it’s this attention to detail that makes Nest equipment some of the best in the industry. Nest offers both security and smart home equipment, and pricing will change significantly based on what equipment you opt for. Below are two examples of pretty basic home security systems that don’t stray much from Nest’s core security equipment. We like that Nest Secure offers some kind of outdoor camera in both systems so you can keep an eye on things while you’re gone. Neither equipment package is particularly robust, but you could add more smart home products—like the Nest thermostat—to either one to create a full-fledged system. *Note: Nest doesn’t offer professional monitoring for Nest Protect or Nest cameras, but you can sync these products with your alarm system. The Nest Tag seems gimmicky at first, but we found it made disarming the system convenient—especially when our hands were full. 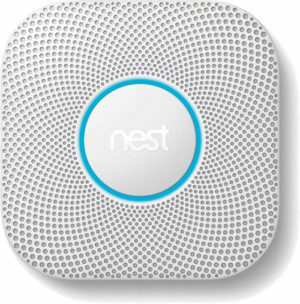 Nest Protect is a sophisticated smoke/CO detector built with user-friendliness in mind. You can even manage Nest Protect remotely from your Nest app. Unlike traditional smoke and CO detectors, Nest Protect can tell the difference between a little smoke from cooking and the smolder of a grease fire, and it alerts you accordingly. If you’re considering Nest Secure, Nest Protect would be a worthwhile addition to your security system. 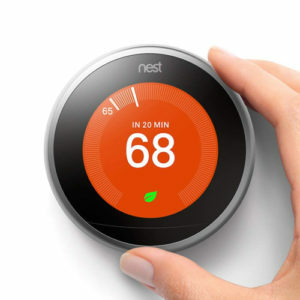 Nest thermostats learn from your habits. Nest says if you use its thermostats for a week they can begin to program themselves with changing seasons and temperatures. That’s pretty damn cool. You can also adjust the temperature remotely if, say, you want to warm up the house on your way back from a vacation or business trip. In our hands-on experience, we found the Nest Secure setup process fairly straightforward, and at least competitive with the best DIY security systems on the market in terms of ease of installation. You start by plugging in the Nest Guard and syncing it to the Nest app, but Nest also gives you more equipment placement options than most security companies. For example, the Nest Detect can be set up easily with an adhesive strip, or you can mount it with a screw if for some reason the adhesive doesn’t work on a surface. Nest Detect sensors also come with an optional 90º back plate that mounts in corners. Nest has a dedicated customer service website where you can find installation guides, look up troubleshooting options, and check whether Nest will be compatible with other devices in your home. Nest customer support can also be reached by phone, email, live chat, or on Twitter should you run into any issues with your Nest equipment. There are some mixed reviews regarding Nest’s services. On the positive end, users like that Nest Secure is straightforward to set up and operate. You don’t need to drill any holes or use any tools to set up Nest Secure equipment in your home, and syncing the system to your app is a fairly painless process. However, a handful of users express frustration with Nest’s cameras. Whether the cameras weren’t working properly or they were inundating users with false alarms, it sounds like Nest’s customer support can be hit or miss when you have uncommon hardware issues. With Nest, you have to buy the equipment outright. While some security companies subsidize equipment costs with a contract, Nest doesn’t offer that option. The benefits to that are you can break off from your subscription at any point without owing money and you also don’t have to deal with complicated cancellation policies. Do we recommend Nest Secure? It’s safe to say Nest Secure has earned its place toward the forefront of home security market. It’s done so not just with its quality home security equipment but also with its rich ecosystem of add-ons including the thermostats, smart door lock, smoke/CO detector, and video doorbell. 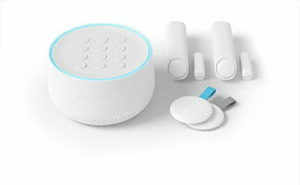 If you opt for Nest Secure, you might as well go all in on Nest products to enjoy their interconnectivity from within the same mobile app. Of course, that’s assuming you’re willing to spend extra up front. Want to see how Nest Secure stacks up against other home security systems? Learn more on our best home security systems roundup.